John Wick Presents has released Heroes & Villains as the first book after the core. I thought that an odd choice, but the more I considered it, the smarter it seems. Heroes & Villains is an NPC book, something we don’t see as much of these days. It offers a solid, useful resource for 7th Sea players & GMs. It helped me hugely when ran the game online. I could pick out a wide variety of pre-gens for players. Instead of immediately drowning players with new source material, options, backgrounds, etc, JWP offers a book to help us get to the table. Here’s my assessment before I dive in: Heroes & Villains is a dynamite book and one of my new favorite rpg sourcebooks. I have the pdf, but I’ll be buying a physical copy when it comes out. I also liked it enough that I interviewed Lead Developer Elizabeth Chaipraditkul for The Gauntlet Podcast. Heroes & Villains has write ups for 40 Heroes & 40 Villains. These characters, for the most part, come from nations detailed in the core book. 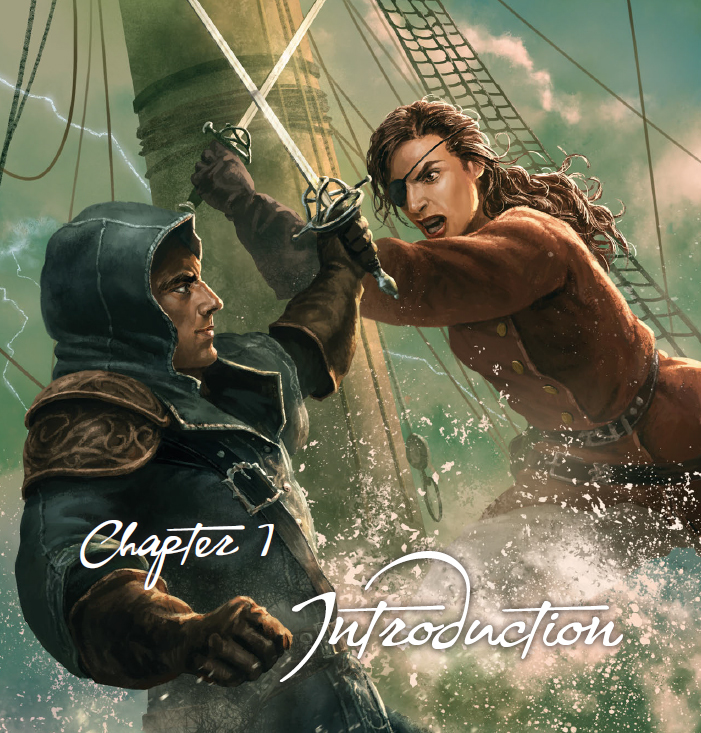 I hope later on, once we’ve seen a few regional sourcebooks (like the recent Pirate Nations), we’ll get a second volume with characters from those. Heroes & Villains opens with consideration of the nature of heroism (and villainy). It presents a villain’s redemption as the highest heroic aspiration. It even includes a new advantage tuned to that. The Heroes section drills down on these ideas. It opens with advice and admonitions for playing Heroes (Care About Other’s Stories, Create Ties to the World, Be Clear and Transparent). It then has parallel advice for GMs (Leading the Table, Challenging the Heroes, Acting as the Referee). It’s a small thing, but I love the way this book sets up structures and maintains parallelism. Three points for each half, done with similar depth. Throughout H&V smartly aids the reader and keeps the material tight. The book breaks Heroes into five broad types: Indomitable, Deft, Tactician, Steadfast, and Trickster. These generally tie to the character’s key trait (Brawn, Finesse, Resolve, Wits, and Panache). Each section has a half-page introduction and then a page with guidelines for playing the archetype. That includes their impressions of the five Villainous archetypes. Not all characters in a section have the associated trait as their highest. Instead it’s about how they face situations. For example not all the Indomitable Heroes are muscle-bound warriors. But they all take a physical approach to deal with foes. Each Hero gets two page. First, there’s a character sheet with standing portrait. That CS includes all the relevant details, including the wound track and space to write in stories, so you can easily print & play from them. Advantages are listed with page references, but the Quirks, Virtues & Hubris entries have the full details. The book adds four new advantages, a new dueling style, a background, a new brute squad type, and two new effects for Mother’s Touch Sorcery. These are listed at the back. Not all of the Quirks come from the core book, many are unique and tuned to the character. I haven’t checked if some of the Arcana entries are new. A hero’s second page has a one column history, three goals, and notes on playing the character. I loved reading the backgrounds and picking out connections across sections. Many of the archetypes presented here would never have occurred to me. The goals offer concrete motivations for GMs using them. A player could easily use them as a starting point for their own advancement-generating Stories. It’s a strong collection. Everything’s done concisely. It material offers players enough to work with while leaving them imaginative space. Splitting these entries into a character sheet and history page helps. You can just hand out the CS and let them go. The history page has a richer story. At first I was a little wary about how set these characters seemed into particular places and events. But really this is the GM side. They could use these as story starters or motivations for as NPCs. If players wanted more ideas about how to play or create a Story for the character, the GM could give them all or a part of this. 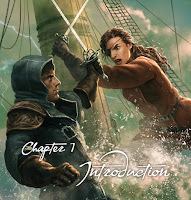 Catalina Morta (Indomitable) A Castillian captain and a nice illustration of a ship-bound character. Bietrix de Veau (Deft) Accidental explorer and archeologist. There’s something about how she’s drawn: dirt on her face and clothes. Szymon Naumov (Tactician) I love the idea of playing this retired, elder military character. Ludwig Schlammmann (Trickster) I love it because the name made me check to make sure it wasn’t misspelled. Nope, that’s how it appears throughout. An amnesiac hero covered in mud. The Villains introduction parallels the Heroes’, but offers two really useful additions. It presents rules for structuring villains’ Schemes as you would players’ Stories. This gives them steps they can work through to gain benefits. I like this. It feels easier to work with at the table. The section also includes notes on lesser villains and how brute squads can gain promotions. Finally it has an extended example of play for a showdown duel between a Hero and a Villain. It’s long. It implies playing it out at the table would take serious time. But as a highlight scene, it might work. In any case, this example helped me grasp the Dueling mechanics. The book breaks Villains into five types: Beast (Rage), Chameleon (Deception), Mastermind (Manipulation), Juggernaut (Desire), and Deranged (Isolation). Each section intro describes what that means, how they view the different Hero archetypes, and how to play these foes at the table. It also has a short list of example Schemes suitable for these Villains. Each Villain gets two pages. The background page has a rich history and three schemes arising out of that. The “character sheet” page has an illustration, quote, and stats (Strength, Influence, Rank). It lists the Villains’ advantages, along with page references. Nicely for GM it includes the full text of the NPC’s Virtue & Hubris. 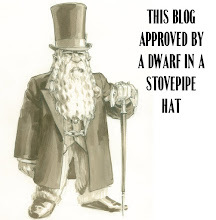 There’s a short paragraph on Servants & Underlings (if any) as well as roleplaying tips. I especially like that the sheet includes how a Hero might go about redeeming this character. Some can’t be, but for those who can change, it offers insights the GM can reveal to players over time. I like these sheets; they’re well-laid out and nicely parallel those of the Heroes with small changes. More angular text boxing, red as the background color instead of blue, and the history placed before the CS instead of after. Small details, but they pull this whole book together. Julianna Onesta (Beast) Twisted by the Inquisition, but vulnerable due to a compassion even she’s unaware of. Tassine Bullet (Chameleon) A criminal guild leader driven by a twisted romantic ideals. Facio Contarini (Mastermind) A classic manipulator from Vodacce. Isentrud der Chegir (Juggernaut) She has a creepy story of magical corruption and interesting plots. Ludwika Krzyżanowska (Deranged) This villainous archetype can be tough. They’re difficult to redeem and can seem inhuman. I like this one because I can visualize how I’d put the players in contact with her plots. Heroes & Villains has a strikingly diverse cast. It has characters from every region presented in the core book. It mixes that up with different focus traits, kinds of Sorcery, and duelist schools. When I picked pre-gens for my online sessions I went through and made a chart of archetypes, nations, genders, who had sorcery, and who had a duelist school. I wanted to ensure broad choices for the players. It was easy, since the book had already done much of that work. Beyond that Heroes & Villains gives us characters of various ages, physical forms, skin tones, and orientations. I like NPC books. The presentation of NPCs in the Citybooks and The Armitage Files are my favorites. Both supplement simple backstories with tools and dials for the table. The former has plot for each one; the latter has how to play the NPC in different modes. Heroes & Villains is as good, if not better. When I bought it, I read it in one evening. I rarely do that. But then Sherri picked it up and did the same thing, despite not being a fan of the genre. She found it that compelling. 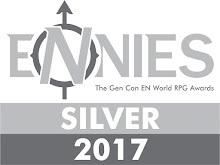 It’s solid and highly recommended, useful both for 7th Sea and other rpgs in a similar vein. My interview with Lead Developer Elizabeth Chaipraditkul for The Gauntlet Podcast. 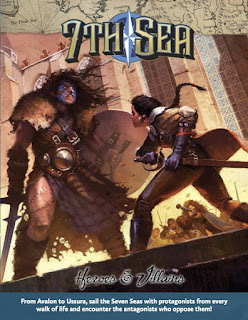 My review of 7th Sea.